This WORKSHOP gives new meaning to the term 'Cut & Paste'. This is a freeform art that embraces an 'Alice in Wonderland' aesthetic. 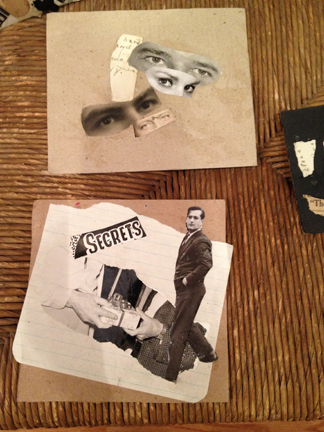 Layered bits and pieces of photographs become elements of a greater design. WARNING: Collaging leads to surreal flights of fancy. Very Popular - Always fills up. Reserve your spot now! 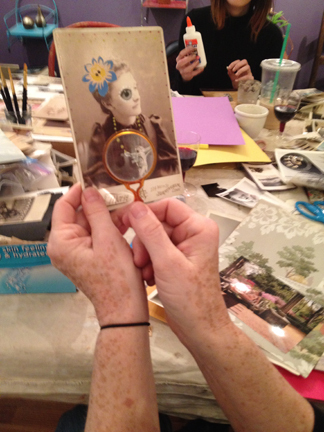 Photo Collage Workshop is $60. There will be 5 tons of photos, glue, vintage papers. This workshop is way too much fun!